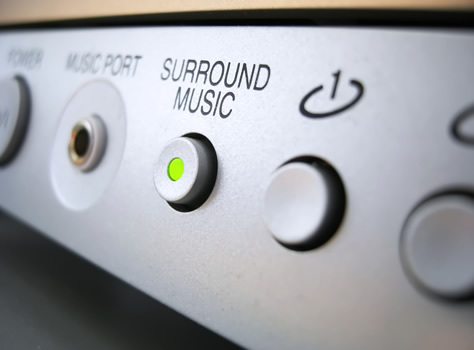 Whole-house music systems are one of the most enjoyable electronic amenities you can choose for your home. Enjoy the ability to distribute tunes from one stereo system to multiple speakers located in every area. This system eliminates the need for many separate stereos and offers a convenient way to manage a growing library of music. At the press of a button, you can hear your favorite CD’s, radio programs, and satellite music stations just as if you were standing in front of the family room stereo. During a casual get-together with friends, the system could play a variety of ‘80s tunes. Even cleaning and cooking seem more enjoyable when accompanied by music. Another appealing aspect is that you can access and control several music sources and play them in different rooms, without sacrificing audio quality. While you relax to a few jazz CDs in the master bedroom, your kids can still get the system to play their favorite rock stations in their bedrooms. If your home has yet to be built, it’s hard to say where you might want to listen to music. A Professional Dynatek Audio/Video Representative can design a whole-house music system tailored just for you and your lifestyle. Whether you’re looking to have a traditional single zone, single source audio system or a complex multi zone multi source unit, Dynatek can make this a reality.